Despite the growing popularity of health savings accounts (HSAs), much confusion still surrounds HSA eligibility, contributions, and distributions. Frontline staff should become familiar with HSA rules to strengthen their HSA knowledge, clarify misconceptions, and provide good customer service when fielding HSA questions from employers and individuals. HSA eligibility can be confusing. An HSA-eligible individual generally is someone who meets all of the following requirements. For married individuals with family coverage, being “covered” under an HDHP doesn’t necessarily apply only to the spouse who enrolled in the HDHP. If the HDHP covers both spouses and they otherwise are HSA-eligible, both can open HSAs in their own names. Many individuals think that once they turn age 65, they are no longer HSA-eligible. But there is no specific age restriction for HSA contribution eligibility. Rather, they are no longer eligible for HSA contributions beginning the month they are enrolled in Medicare—Part A, B, D, or any other part. It can get complicated, however, when factoring in Social Security. If an individual receives Social Security at age 62, for instance, he is automatically enrolled in Medicare at age 65, which then affects HSA contribution eligibility. 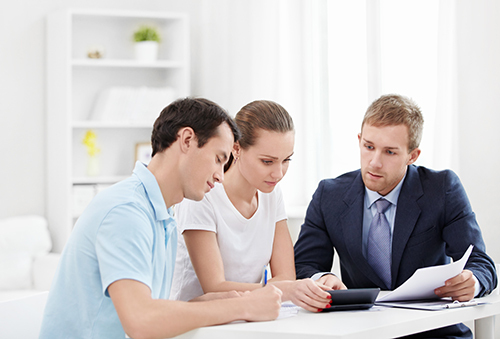 HSA owners should consult a competent tax advisor to help with their specific situation. Can married couples have joint HSAs? No, HSAs are individual accounts. Many people think that joint HSAs are allowed, especially when spouses are covered under the same HDHP and use an HSA to pay for family medical expenses. If both individuals are eligible and wish to make contributions, each spouse must establish his or her own HSA. Distributions, however, may be taken from either HSA to pay for either spouse’s qualified medical expenses or those of their dependents. Financial organizations may allow the HSA owner’s spouse to sign an authorized signer agreement to complete HSA transactions (including those with checks or debit cards). Unlike a flexible spending arrangement (FSA), HSAs do not have a use-it-or-lose-it rule. HSA assets that are not withdrawn during the tax year are not forfeited. Any remaining assets in the HSA may be used by the HSA owner to pay for qualified medical expenses in the future. HSA assets also may be withdrawn for any unreimbursed medical expenses incurred in the past, if incurred after the HSA was established. For example, an HSA owner could reimburse himself in 2019 for a 2018 expense as long as the HSA was established before the expense was incurred. HSA owners must keep sufficient records to show that the withdrawn amount covers unreimbursed qualified medical expenses and that the expenses were not deducted on any tax returns. Anyone can contribute to an HSA, including the HSA owner and the HSA owner’s employer. Employer contributions generally are nonforfeitable, which causes confusion for employers and employees. Employers sometimes ask the financial organization to return the employer’s contribution if the employee becomes ineligible for contributions. IRS guidance provides only two scenarios for which employers may request a return. The employer may ask the financial organization to return an HSA contribution (plus net income attributable) if the employee was never HSA-eligible, or if the employer erroneously contributed more than the statutory contribution limit. Financial organizations are required to not accept more than the family contribution limit ($6,850 for 2018). But some financial organizations monitor and limit HSA owners from using their HSA assets for nonqualified medical expenses. For example, financial organizations may have their HSA owners’ accounts set up to deny any purchases that are not for medical, dental, or vision. This, however, is not required—the taxpayer, not the financial organization, is required to monitor how HSA assets are used. HSA owners actually can take distributions for nonqualified medical expenses, but they will be subject to tax and the additional 20 percent penalty if they do not incur enough qualified medical expenses to cover the withdrawn amount. Because HSA owners can pay for qualified medical expenses out of pocket and reimburse themselves, financial organizations cannot effectively monitor the qualification status. HSA owners should keep track of their receipts to prove the tax-free nature of their HSA distributions. Some HSA owners incorrectly assume that once they become ineligible to make HSA contributions, they are ineligible to take HSA distributions to pay for qualified medical expenses and must close out the HSA. Even if ineligible to make contributions, HSA owners still may use their existing HSA assets to pay for any future qualified medical expenses for themselves and their dependents.